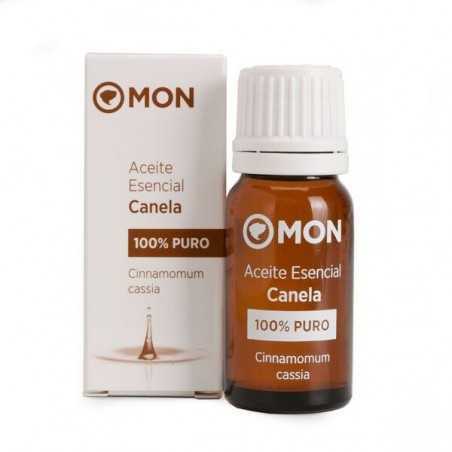 Cinnamon Essential Oil Mon Deconatur. Great ally to fight cellulite and eliminate toxins. It helps in body slimming and pain treatments. It is an essence famous for its aphrodisiac power. It is stimulating, invigorating and thermal. A great ally to fight cellulite and eliminate toxins. Its stimulating action of the blood circulation helps enormously in the corporal slimming and in the treatments of the pain. It offers benefits against viral infections, such as colds, and boosts immune defenses during flu epidemics. Prepare yourself a body oil that will help you lose volume. In a vegetable base of almond oil, add a few drops of grapefruit and cinnamon essence. The grapefruit will help you drain and mobilize the toxins that cause the so-called orange peel effect and the highly caloric cinnamon will help you lose the accumulated fat. With a medium olfactory note, Cinnamon has a sweet and warm smell that stimulates and revitalizes. The essence is obtained by distillation of the bark and its predominant active principle is cinnamic aldehyde. It is one of those essential oils with which we must be more careful because it is highly irritating and strong.